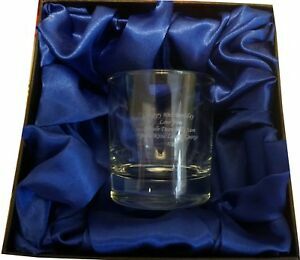 Glencairn Crystal Whisky Glass - Burns Quote "Freedom and whisky gang thegither"
Very quick delivery! Great product! Great price! all right . I recommend .